Banita Sandhu made her Bollywood debut with Varun Dhawan starrer October. Staying still with her eyes shut and not doing anything on-screen was the hardest challenge for British Indian actress Banita Sandhu while shooting October. Banita, who plays a comatose girl in Shoojit Sircar's highly-lauded film, says a whole lot of homework went into playing Shiuli, the girl who plunges from a high rise to a near-death experience. She says the most irksome part of doing this role was to cease all activity. "I am not going to lie. It was quite annoying being still for so long especially when my eyes were shut. We shot the film chronologically, so I had my eyes closed for about a week,'' she said. "And then when I finally got it open, you can't imagine how how relieved and excited I was able to act conscious, even if it was only through my eyes. So I really tried to grab to take advantage of any moment I had to do something and by the time it came to a physically demanding scene, I was actually able to do it easily because I was so frustrated acting still for so long while everyone around me was up and about," she said. Banita could feel her comatose character's frustrations. "We were both sailing in the same boat. Rather, not ‘sailing' at all. When I finally got to move, it came out so well on-screen because there was that frustration within me as an actor of being immobile. It was like the character and me were kind of going through the same thing at the same time and I guess that's why it comes across so real on-screen. I bet Shoojit sir planned it that way because he knew that that it whould come out the way it did," she said. Born and brought up in Britain, the Hindi was a problem for Banita. "Language was definitely tough but as you must have seen in the film, my dialogues are very limited, so we kind of got around that very well. Both Shoojit sir and I were very stubborn that this character will have my voice because there's so much more to the performance than my dialogue. A lot of people commented on what I did with my eyes, the frustration and all the emotions. So the language was tough, but I think honestly the hardest part was not doing anything on the screen for 10 to 12 hours a day. I used to get frustrated as everyone around me was acting. I used to get jealous," she said. The film features Varun Dhawan. Banita found him sweet, humble and kind-hearted. "I honestly couldn't have asked for a better first co-star. 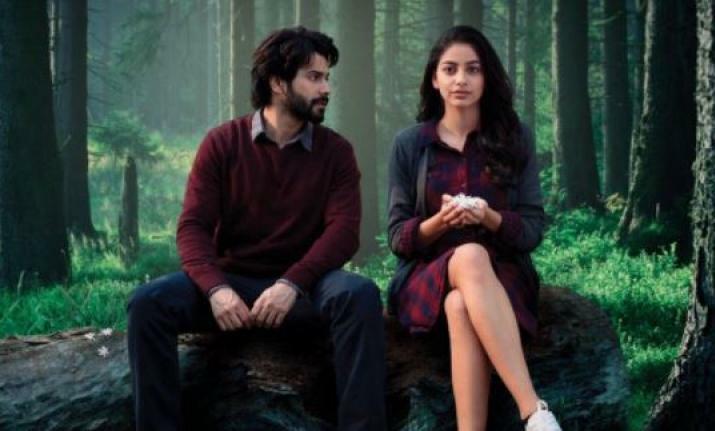 For Varun, 'October' was also like a first film together also. So it was kind of like going through this journey together. "We watched each other's back. The film, its mood and shooting were not only difficult for me but it was challenging for him too to go through all that emotion. I'm so lucky that I had a great support system in Varun, Shoojit and the entire team."